Why does the geological version of the Anthropocene matter to ecological politics? Because the ecological crisis has politicized geological time. The clearest pieces of evidence that the crisis has made deep time a political issue are newspaper headlines like the one in last Tuesday’s Guardian: “Planet at its hottest in 115,000 years thanks to climate change, experts say.” Headlines like that one—or like the New York Times’ front-page announcement in 2013 that CO2 levels are at their highest for at least three million years—are the starting point for the account of the Anthropocene that I gave in the book. A new and discombobulating temporal scale has made its presence felt in current affairs. The idea of the Anthropocene epoch is one way of coming to terms (as far as it’s even possible to come to terms) with that disturbance of scale. The Guardian’s story was based on this paper (not yet peer reviewed, though it’s up on the Earth System Dynamics website as part of an open review process, and hence not actually intended for “media attention” yet) by James Hansen and others. As the paper’s abstract puts it, “Global temperature has just reached a level similar to the mean level in the prior interglacial (Eemian) period, when sea level was several meters higher than today, and, if it long remains at this level, slow amplifying feedbacks will lead to greater climate change and consequences.” Hansen et al. 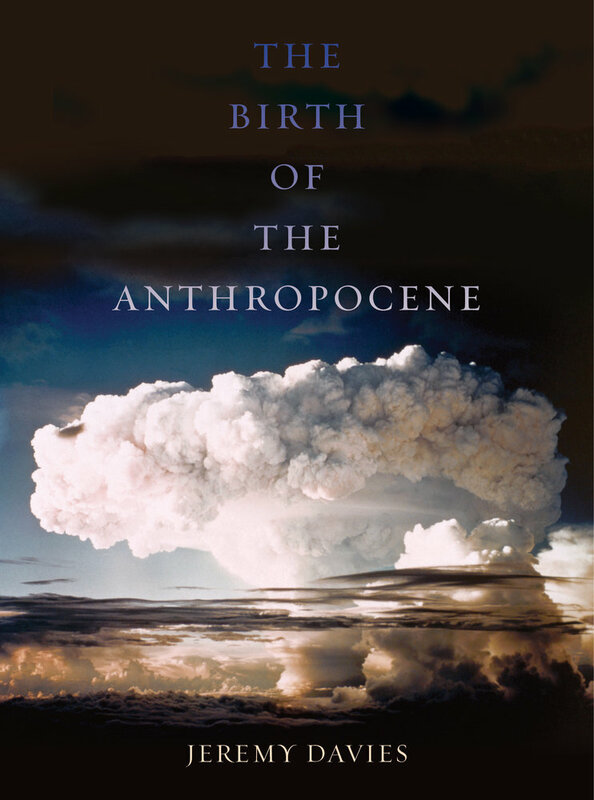 don’t use the word “Anthropocene,” but their paper addresses as forcefully as any other the question of where the present crisis sits within geological time. Our results indicate that global mean temperature for the decade 2000–2009 has not yet exceeded the warmest temperatures of the early Holocene (5000 to 10,000 yr B.P. [Before Present, so approx. 8000–3000 BC]). These temperatures are, however, warmer than 82% of the Holocene [in their model], or 72% after making plausible corrections for [short-term temperature fluctuations that their model can’t capture]. In contrast, the decadal mean global temperature of the early 20th century (1900–1909) was cooler than >95% of the Holocene distribution [even after making the same plausible corrections for short-term fluctuations]. Global temperature, therefore, has risen from near the coldest to the warmest levels of the Holocene within the past century, reversing the long-term cooling trend that began ~5000 yr B.P. This is Hansen et al.’s graph of global surface temperature in the last four and a half decades. The y axis is the temperature anomaly in degrees Celsius compared to 1880–1920. The influence of the 2015–16 El Niño is painfully visible on the right. The 11-year running mean shows an inexorable rise. The temperatures witnessed in the Holocene are being left in the dust. If the world is hotter today than it was in the Holocene, then it’s much hotter than the glacial period that preceded the Holocene. Recent glacial cycles have lasted on the order of 100,000 years. So to find a parallel we have to go back at least to the previous interglacial: that is, the Eemian, of around 130,000 to 115,000 years ago. And because of that, deep time is in the newspapers again this week. Temperature reconstructions get progressively more uncertain the further back you go. The Eemian is so long ago that anatomically modern humans were then still an African (and possibly Arabian) species. But in Hansen et al.’s summary, “mean Eemian temperature was probably about 1°C warmer than the Holocene” in general, or “not much more than +1°C relative to 1880-1920 global temperature.” Past sea levels can be reconstructed with rather more confidence: they peaked in the Eemian at about 6 to 9 metres above today’s levels. That would put an awful lot of cities and croplands underwater. The bulk of the Hansen et al. paper is about the present and future, rather than the remote past. Bringing atmospheric CO2 concentrations back down to 350 parts per million by the end of the present century, the paper argues, should keep the excursion above Holocene temperatures “small enough and brief enough [to give] the best chance of avoiding ice sheet instabilities and multi-meter sea level rise”—not to mention further self-reinforcing temperature increases. Absent such emissions reductions, “intensive negative emissions technologies” will need to be invented and deployed in order to extract something in the region of a thousand billion tonnes of carbon from the air in the course of this century. To appreciate that figure, consider that all anthropogenic fossil-fuel burning and land use change from 1750 to 2011 added a net total (deducting the amount reabsorbed by the oceans and biosphere) of 240 billion tonnes of carbon to the atmosphere.